Dr. Jaffer Kermalli completed a Bachelor of Science majoring in Neuroscience from the University of Toronto. He went on to complete his Doctor of Dental Surgery training and a Masters of Science specializing in Periodontology at the Faculty of Dentistry at the University of Toronto. 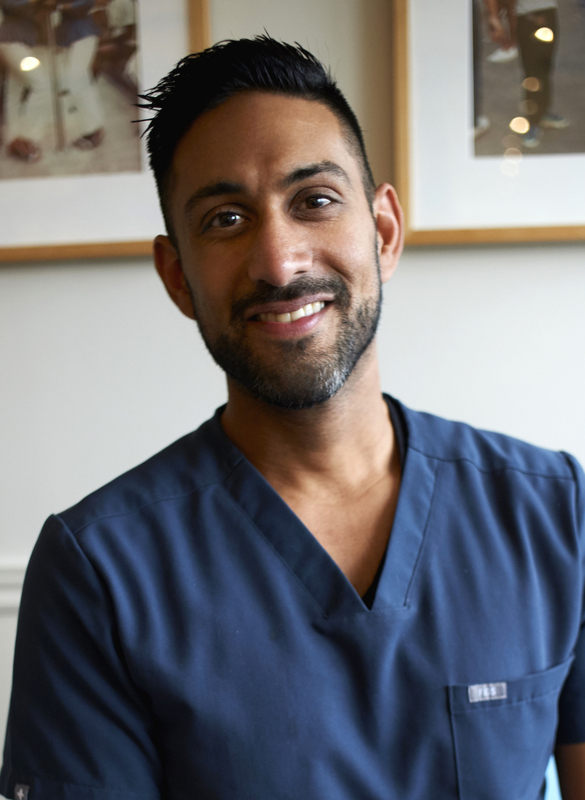 Dr. Kermalli joined Dr. Montague’s practice in 2011 and focuses on treatment of periodontal (gum) diseases and related conditions as well as dental implant related surgery. He is a Fellow of the Royal College of Dentists of Canada and a member of the Academy of Osseointegration, International team for Implantology, American Academy of Periodontology, Ontario Society for Periodontists and the Ontario Dental Association. Dr. Kermalli is a part time clinical instructor at the University of Toronto, has published extensively on dental implants and presented research at several international conferences. Dr. Kermalli also works with the Global Kindness Foundation – a Canadian based charity providing medical, dental and optical services to people world wide. In 2013, Dr. Kermalli travelled to Najf, Iraq on his second trip with the organization. He and fellow volunteers setup and run a modern dental practice providing comprehensive treatment in conditions where electricity, light and clean water were rare commodities. Dr. Kermalli finds time to volunteer every year, as it has become a pillar for his practice. To read more about Global Kindness Foundation, link over to our Volunteer Work page or visit Dr. Kermalli’s website GTA Periodontics.